And fuel cell technology is one of the fastest growing forms of technology today. It’s becoming clear that the zero-emission vehicle market is growing faster than most people expected. As with every new technology, there are first adopters who pave the way to the future. Also, as with any new technology, these first adopters must heavily invest in the technology’s development to move “change” into the mainstream. It has always been a truth surrounding innovation that a new technology can only become cheaper upon mass production. Luckily, governments and policy makers recognize this paradigm. They are stepping up to help with the transition to the electrification of transportation, and bridge some of the cost gaps with conventional internal combustion technology. Thanks to zero-emission policies in key areas around the world, as well as funding from different governments and organizations, fuel cell technology is moving forward faster than ever. Heavy-duty vehicles are one of the worst classes of vehicles when it comes to pollution related emissions. Despite representing only 4% of all vehicles on the road, they contribute a whopping 23% of all on-road GHG emissions. This problem hasn’t gone unnoticed, and many different zero-emission projects have been launched to reduce the air pollution in our urban corridors, where these trucks operate in significant numbers. One noteworthy example is in California, where several fuel-cell powered truck projects have been recently launched. The projects generally aim to reduce the pollution that is generated when goods are transported from local ports to other distribution nodes in the community. An inspiring example is the UPS fuel cell truck, which was developed with the help of funding from a range of sources. Another high-profile project is the Kenworth fuel cell truck, which is powered by Ballard’s fuel cell heavy duty power module. To get this project off the ground, it received backing from numerous government grants. Some of the key players in the advancement of fuel cell technology are federal and local governments. Governments are in position to influence how quickly zero-emission goods transportation is adopted by society. Here are some examples worth mentioning. Chinese government representatives are among the most enthusiastic about the advancement of fuel cell technology. They recognize its importance in addressing serious air quality issues by reducing vehicle emissions. This isn’t entirely surprising, as the air in Chinese cities is known to be some of the most polluted in the developed world. This unfortunate situation is the catalyst for innovation. Fossil fuels will be replaced - and fuel cells are of the realistic replacements for powering clean transportation without compromise in operation, range, and payload. At the federal level, China is making a move to completely ban vehicles that use internal combustion engines within an established timeline. The city of Shanghai is right at the forefront, with an innovative, ambitious fuel cell initiative: the Shanghai Fuel Cell Vehicle Development Plan. Deployment of at least 3,000 fuel cell buses and vehicles by 2020. The development of at least 5 hydrogen refueling stations by 2020, and up to 50 stations by 2025. Setting up a research and development center by 2020 that will be tasked with developing and testing fuel cells. The implementation of different financial and tax policies to attract over 100 suppliers by 2020 who will help with the development of vehicles. While China is leading with these encouraging goals, other regions are developing similar programs. Countries like France and the UK, as well as the State of California, have made public declarations to eliminate fossil-fuel vehicles from their streets. 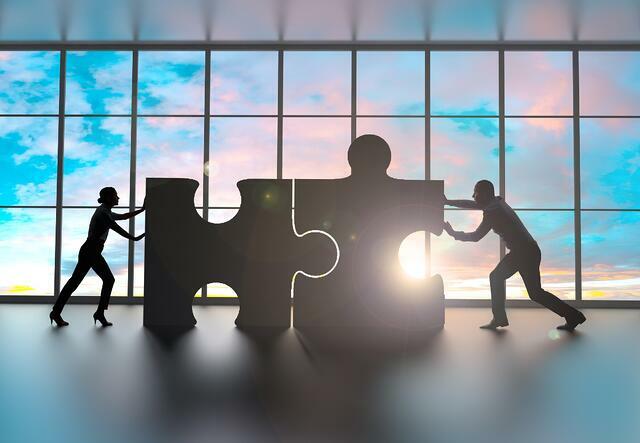 The California Fuel Cell Partnership has done its part by preparing an action plan to accelerate the development and commercialization of fuel cell-powered heavy-duty vehicles. California governor, Jerry Brown is also committed to a ban on the sale of vehicles powered by internal combustion engines. California has the toughest air quality regulations in the US. It also happens to be the country’s most aggressive promoter of hydrogen fuel cell technology, thanks to government policy and innovation-based funding development. Due to this position, California is a global hub for fuel cell technology development. They are currently developing statewide hydrogen fueling infrastructure to service fuel cell vehicles. California is also a strong supporter of fuel-cell electric buses. 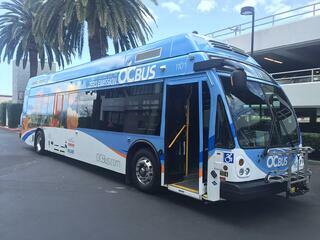 AC Transit , Sunline Transit Agency and OCTA have been operating fuel cell electric buses for many years. The momentum needs to continue for the world to fully realize the end of fossil fuel-powered vehicles. To keep it going, more policymakers around the world should commit to more aggressive policies and provide more funding to bridge the gap between incumbent and zero emission technologies. Many jurisdictions have taken the first step by banning growth of fossil fuel powered vehicles. They’ve stepped up by creating policies that discourage the manufacture of fossil fuel vehicles or by imposing taxes on certain vehicle types and by implementing low emission zones. Through government leadership, zero-emission vehicle technologies can continue to be produced and adopted by the masses. Policy makers have an important role to play. They may ultimately be the determinant in the future of air quality in our cities, as well as climate change and clean, safe transport for all.